The 2018 Grammys are just a few days away (Sunday, Jan. 28), and the nominees this year are fire. Going through the list of nominees, it’s pretty obvious that many of these talented stars weren’t born with the fun names they go by. Celebrities and musicians alike are known for taking stage names as they rise to fame — and Grammy nominees like Bruno Mars, P!nk, and Jay-Z are just a few who have followed suit. Here are the real names and the stories behind some of this year’s nominees’ unique monikers. You know — just in case you need it for trivia some day. Real name: Peter Hernandez. 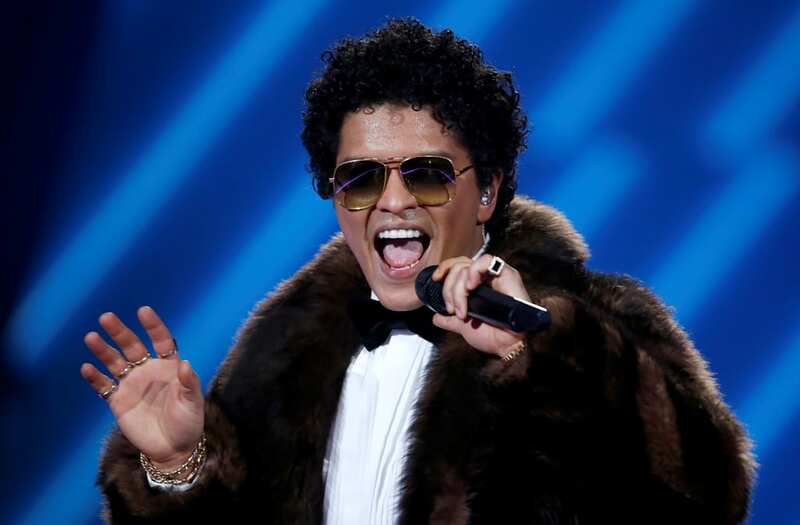 Nominated for six Grammys, including Album of the Year, the artist inherited the nickname “Bruno” from his dad as a toddler, after the big wrestler Bruno Sammartino. This has stuck with him for life. Real name: Shawn Corey Carter. Nominated for eight Grammys, including Album of the Year, the rapper once known as “Jazzy” changed his name to Jay-Z in homage to his mentor — rapper and producer Jaz-O — and the J and Z subway lines of his hometown of Brooklyn. Real name: Belcalis Almanzar. Nominated for two Grammys, including Best Rap Song, the rapper used to call herself Bacardi, while her sister went by Hennessy. When she kept getting deleted from Instagram because her name was the same as the very popular brand of rum, she decided to shorten it to Cardi B. Real name: Stefani Germanotta. Nominated for two Grammys, including Best Pop Vocal Album, Gaga took her name from the Queen song “Radio Ga-Ga,” but her ex-boyfriend, producer Rob Fusari, takes credit for her name because “Radio” autocorrected to “Lady” on his phone. Real name: Symere Woods. Nominated for five Grammys, including Best New Artist, Uzi said that some guy said to him once, “Damn, you rap fast like a machine gun, like Uzi.” He added “Vert,” short for vertical, as in going straight to the top! Real name: Solána Imani Rowe. Nominated for five Grammys, including Best New Artist, SZA picked her name from the supreme alphabet: S = Sovereign or Savior, Z = Zigzag, and A = Allah.